The raintight NEMA3R PBN30 non-metallic power inlet box is designed to provide a plug-in location fro cords running from your portable generator. It should be installed outdoors in an open area where the generator is being used. This power inlet box is then wired directly to a Reliance Controls indoor transfer switch. It is designed for fast installation with features like: a) our new patented "POP-FAST" reusable knockouts (no tools required); over 100 square inches of internal wiring space and slide-out base which makes wire connections easy. Bottom entry power cord inlet and flip-lid inlet cover to seal against insects and windblown and splashed debris. This outdoor box timer is great for fans, pumps, pool heaters, air conditioners, spas, pools or lighting. It is tamper-roof and features heavy duty rain-tight construction. Select from 48 on/off settings. Use to connect the 75- ohm coaxial output from your cable box, television, VCR or satellite dish / receiver. This cable has been swept to 2400Mhz (2.4Ghz) exceeding all industry standards.Perfect for extending or shortening existing cable runs between video components. CMR (FT4 rated) For indoor and outdoor use. Comes with weatherproof boot. Our high quality, decorative wooden windmill has been stained, waterproofed and predrilled for easy assembly. This windmill would look great in your yard, along your driveway or on your acreage. This unit looks great and has red tipped blades for that old-time traditional look. Unassembled windmill comes complete with the tower and head assembly. The fan diameter is 30" and the unit is 10' tall. Ships in one box, assembly required. Includes assembly manual and ground stakes for anchoring windmill. 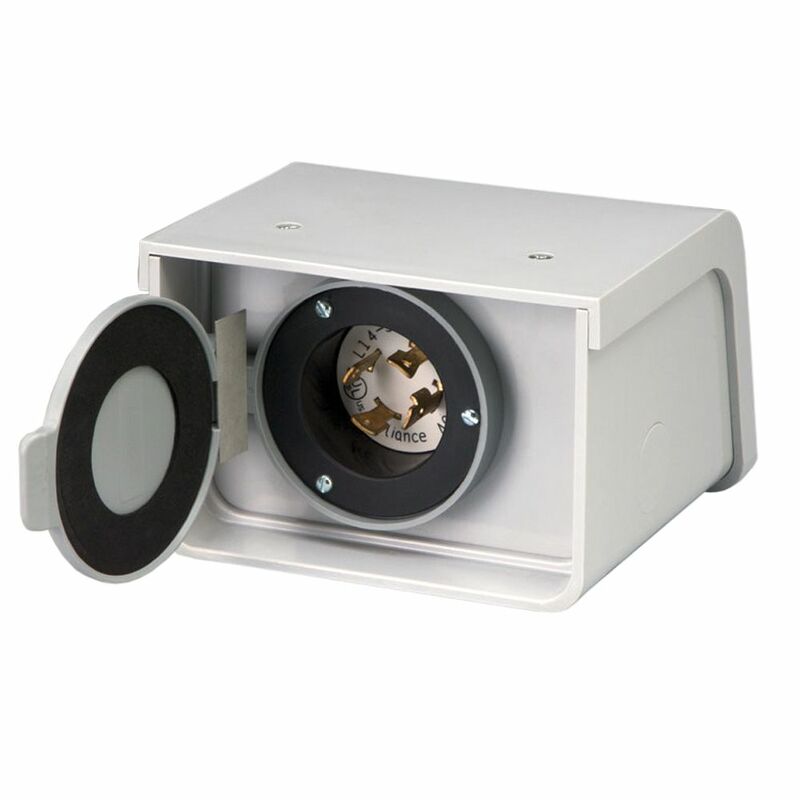 Made in U.S.A.
PBN30 30-Amp L14-30 Outdoor Non-Metallic Power Inlet Box The raintight NEMA3R PBN30 non-metallic power inlet box is designed to provide a plug-in location fro cords running from your portable generator. It should be installed outdoors in an open area where the generator is being used. This power inlet box is then wired directly to a Reliance Controls indoor transfer switch. It is designed for fast installation with features like: a) our new patented "POP-FAST" reusable knockouts (no tools required); over 100 square inches of internal wiring space and slide-out base which makes wire connections easy. Bottom entry power cord inlet and flip-lid inlet cover to seal against insects and windblown and splashed debris.